Two variations of a low energy house. The left one was made for the Frankfurter Allgemeine Zeitung and the right one for the Süddeutsche Zeitung some months later. 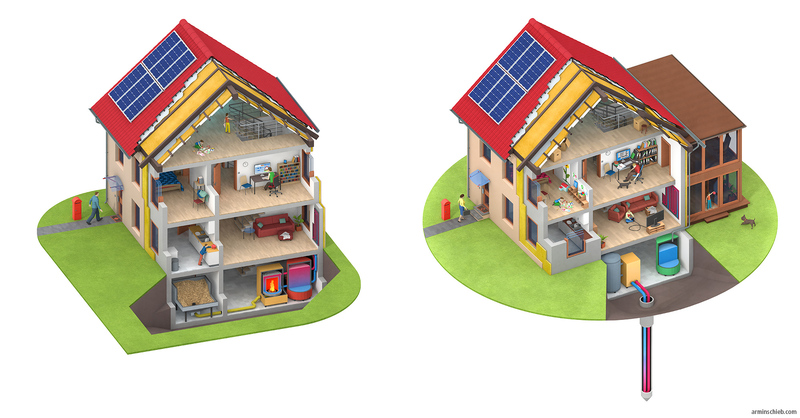 The illustrations show how to improve the energy-efficiency of old buildings.